Great apartment for a family; has everything; very clean and well managed. Owners very easy to work with and thoughtful. Nice area. A bit far removed from the tourist sites, but just leave a little extra time to get there. Well worth it. 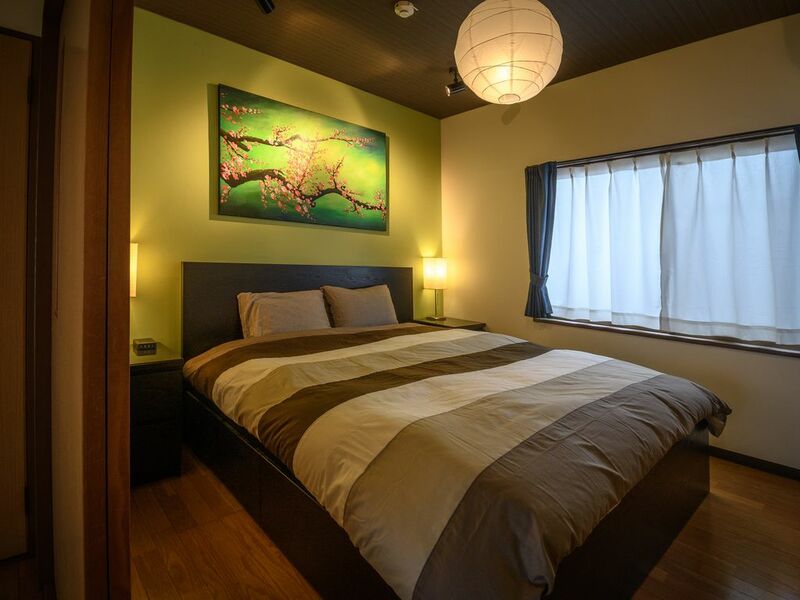 The townhouse is in a quiet residents area, only 3 min walk from Mototanaka station on the Eizan line. Local restaurants and stores were enough and easily reachable by walk. The two bikes included were great and allowed us to see a lot more of the local area than we might have been able to see by walking. We picked up two more bikes for friends from a place the owner recommended at Demachiyenagi station called eMusica. The house made for a great base to explore Kyoto. We're a group of 4 and had a great time at the house. It was comfortable and clean. The kitchen had all the items you would need for cooking if you wanted to. Dining table was big enough to use; cutlery was complete. Basically all the conveniences of a normal house. The playstation was a hit with our teenage boys, as were the bikes which are suitable for both adults and kids aged 10+. The hosts were very friendly and helpful. Very Nice house in a quiet area in Kyoto. We stayed with our 3 children. The house is well equipped, we cooked a few times and bathroom and bedrooms are good and clean. Two bikes come with the house, we rented 3 more nearby the station. Tv with Netflix was highly appreciated by the children.. and we made use of all the japan guide books that were put on the shelve. A really Nice place to stay! This has been our best vacation rental experience to date! Hidden Inn is a beautiful Japanese home in a quiet neighborhood but close to the station. It is utterly charming and we felt immediately at home. The host was brilliant and provided everything we could have asked for - a warm welcome, great directions and lots of thoughtful touches throughout. It was a perfect end to our family vacation and we would stay at this house again in a heartbeat - in fact, we didn’t really want to leave! Thank you. Clean neat place and convenient to transport. Keith was clear with instruction both in getting there and in the use of equipment. Netflix was available for family entertainment at night. Neighbourhood felt safe and younger ones can cycle to the river. Supermarkets were within a few mins walk.